Inti Marazita has served as a core faculty member in the Master of Occupational Therapy (MOT) program since 2014. She has also served as an adjunct faculty member at Daytona State College and has worked as an occupational therapist at Putnam County Public Schools. 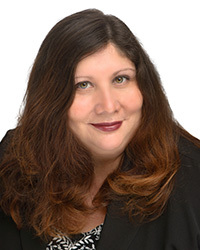 She formerly served as a faculty member at Kaplan College in Jacksonville, Florida, an adjunct faculty member at Barry University in Miami, and as a program coordinator and academic fieldwork coordinator at Keiser University in Daytona Beach and Pembroke Pines. Marazita also holds a wealth of clinical experience in the areas of pediatrics, mental health, acute care, home health, and outpatient settings. She has served as an occupational therapist at Easter Seals in Daytona Beach, Holmdel Board of Education in New Jersey, the Jardine Academy of Union County, Kaleidoscope Early Intervention in New Jersey, Bergen Regional Medical Center in Paramus, New Jersey, and at Elizabeth General Medical Center (now known as the Trinitas Regional Medical Center) in Elizabeth, New Jersey. Marazita is registered as an occupational therapist by the National Board for Certification in Occupational Therapy. She is a member of the American Occupational Therapy Association (AOTA).